Many Recruitment Managers (those running recruitment agencies or functions) turn to the use of psychological assessments to aid their recruitment process when it comes to recruiting new people into the recruitment industry which is perfectly fine given you do not have any recruitment background to use as a reference. Today we are going to talk about “The best psychological assessment in the world” that you can use for a minimal price, every single time you hire a new person into the recruitment industry be it Agency or In-house recruitment. Before we lead you off to the name of the best psychological assessment in the world, let’s talk about what is the DNA of a good recruiter. Build rapport – First of all, they have an ability to get people to talk. This is true of both internal and agency recruiters. It’s an ability to build rapport in a heartbeat. Tenacious – both types of recruitment are hard work and therefore need someone who is not going to give up. Team player – recruitment is a social game, a networking game. If you don’t fit into the organisation you certainly are not going to make it in the company. Resilience – there is a lot of rejection in recruitment, not just for the candidates, but also for the recruiters. So you need to have a “thick skin” so when that rejection does come, you have ability to take it on the chin and keep moving. There are many more traits that make a great recruiter however let’s stop there and start talking about the best psychological assessment in the world. 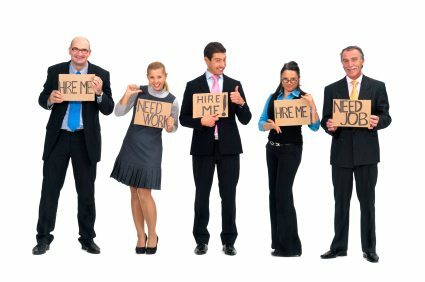 Internal recruitment functions and recruitment agencies are usually full of people; people who are employed as recruiters. These recruiters recruit all day every day so they are (or at least should be) pretty good at it. These are people not only make up your current culture, they are also the people who dictate who will work and will not work in your business. If they like and respect someone, they will help them. However if they do not like them, then they will be squeezed out of the organisation. So use them! When you have a new person you are considering bringing into the business you have to be very protective of your current culture. Make sure you have a step in the process where your current members take the potential new employee out for a drink/coffee. Not just one team member, several. Their job is to assess the new person and identify if they will fit the current culture, complement the team and overall be successful in the business. Here are five things that make this crucial to the success of your recruitment. Make sure you frame the meeting as this is the candidates way of meeting the team and therefore they can ask anything they like. They can ask about the good, bad and ugly of the business in a safe environment. Ask each of your people to be responsible for assessing different traits of the candidate and have them all ask about why they would want to work with your organisation. Feedback happens as a group as soon as possible after the meeting. Close the feedback session with, do we employ them and why? This now shifts the onus of bringing in new people to the team from just the hiring manager to the team. If this is done well it will have the power to seriously become the best physiological assessment in the world. We implemented this practice in a turn-around business several years ago. This business couldn’t attract good people due to its poor culture. When I took it over I made it clear to everyone (20+ people) in the business that no one would be coming into the business unless WE agreed they were the right person. Two years later that organisation had the best culture in a massive group and that culture soon transferred to amazing results on the bottom line. It won’t work all the time but the majority of times it will. Recruitment School is the only recruitment training you will find that has been built to help you get new people into the recruitment industry and up and running as quickly as possible. Online Recruitment training that is easy, affordable and flexible. If you would like to know more about how we can help you, contact us by clicking here or subscribe to our newsletter by completing the details below.